Justin March was exiled for daring to include a supernatural event in one of his investigative reports. But that paranormal knowledge actually winds up being his ticket back home when a string of ritualistic murders turns up, and he's the only one with the expertise to track down the culprit. He's teamed up with Mae, one of the military's most elite soldiers to get to the bottom of the investigation before the public hears of the religious ties. But their investigation quickly turns extremely dangerous for them as they stumble across a plot for untold powers to conquer the world, leaving humanity little more than cannon fodder and pawns. 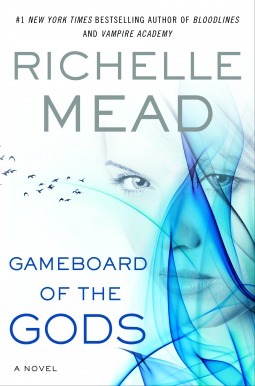 Let me start off by stating that I am a HUGE Richelle Mead fan. 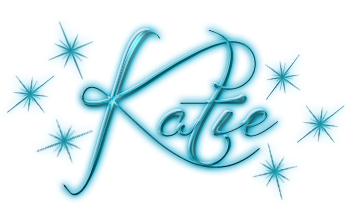 I've loved everything she's written, aside from my frustrations at her lack of closure in her series ending books, but that's just a stylistic preference. So, I fully expected to love GAMEBOARD OF THE GODS, even if the description sounded a bit more on the full fantasy side instead of urban fantasy. Unfortunately, I would up being very disappointed instead, which is really a shame since I was so excited about this new series. It wasn't just one thing keeping me from enjoying this book, it was several. In fact, I literally had to keep forcing myself to continue, and honestly if this book had not of been written by Richelle, it would have been a DNF in the first 50 pages. As it was, I keep hoping for something to turn around and spark my interest, or even start to make a little sense, but it never really did. The book just really suffered from a severe lack of world building. There was just way too much going on with little or no explanation, which made things rather frustrating as it left me feeling rather confused and disjointed from the story. Speaking of disjointedness, I was never able to connect at all to any of the characters. I think a lot of that had to do with the third person narrative. I just felt like the whole thing felt stilted and unnatural. While I will be the first to admit I largely prefer first person over third, I still can enjoy a well written third person dialog. GAMEBOARD OF THE GODS unfortunately wasn't one that worked. I understand the need to have at least Mae and Justin's character perspectives, but those could have been told in first person, or at least better connected. As far as Tessa goes, I'm really not sure why her character was necessary. Honestly it seemed like the only purpose her character served for most of the book was to make Justin seem a bit less selfish. I need my characters to have more depth and purpose than that. After reading GAMEBOARD OF THE GODS, I'm even more glad that Richelle changed her mind from writing the VA spin off series in third person, as I really feel she is a much stronger writer in first person. This has been the second book that I've read in the past two weeks from a loved author that has really let me down. I'm hoping the trend doesn't continue as I might have to rethink my policy of giving previously loved authors more leeway. Perhaps GAMEBOARD OF THE GODS will appeal more to Sci-fi/fantasy lovers, rather than avid Urban Fantasy fans like myself, but it just didn't work for me.